Good intentions are powerful, but when you don’t apply the right strategy to meet your goals or resolutions, you’ll likely end up falling short and being disappointed. Even if you aren’t the biggest fan of resolutions — per se — there is merit in self-reflection and self-awareness. No matter how you dice it, twelve months is a stint of time, and so much can change personally, professionally and in terms of your future goals or current lifestyle. When December 31 turns into January 1, many people feel — ahem, hungover — but more so, ready to make some sort of shift within their day-to-day that will bring them heightened happiness, success, and fulfillment. Many people feel empowered by this season of opportunity, but that doesn’t mean they always approach the process in the most effective way. Good intentions are powerful, but when you don’t apply the right strategy to meet your goals or resolutions, you’ll likely end up falling short and being disappointed. If you haven’t quite made it to the finish line in years past, let 2019 be when you finally hit the nail on the head. Making a resolution you can’t track. Maybe you’re the creative at your firm — always bursting with new ideas and innovative ways to solve an issue or move forward. Or, you’re more focused on the big picture than the nitty-gritty. These are all valuable qualities, but without having any number associated with your resolution, career expert, entrepreneur and author Lauren Berger explains most people aren’t able to track their progress. She explains while anyone would love to close more deals next year — how many exactly? Even if you go above and beyond that number (or perhaps, don’t meet it quite yet) — it’s better to put some sort of numerical figure so you can see how you’re doing three, six and nine months in. Making a resolution you think you should make — instead of what you want. Sure, you want to impress your manager. Or, you believe you should be in a place career-wise that you aren’t (yet). In a world where an Instagram filter is applied neatly to everything, it’s tempting to compare yourself to others and feel pressured to live up to a specific standard. This is why it’s essential to figure out what really motivates and empowers you, and allow yourself to go after that, even if it isn’t status quo or traditional. Making a resolution with no strategy. After a solid two years of moonlighting as a freelancer while holding down the fort at a full-time gig, you’re ready to take that leap of faith and do your own thing, permanently. It’s a scary move— no matter how you dice it—but saying it won’t make it so. Berger explains while plenty of talented professionals have killer skills and lofty dreams, they aren’t exactly schooled on how to create a detailed strategy to arrange at their intended destination. 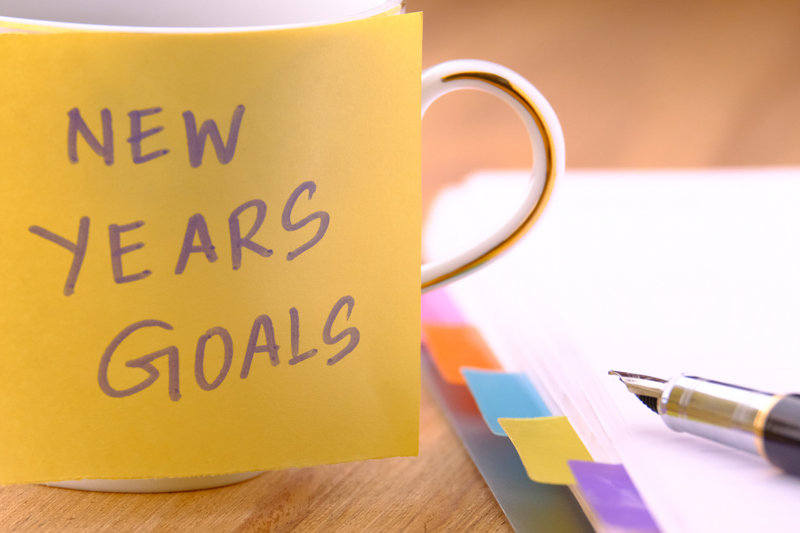 When you’re serious about a resolution for any aspect of your life, you map out the necessary steps you’ll need to take and milestones you’ll need to meet to get where you’re going. Berger says to put pen to paper (or open up a Google Doc) and write down your detailed strategy for each month, allowing you to cross out deliverables as you achieve them. Making a resolution they’re too afraid to change. Think about the type of person you dated and were attracted to in college. And in your mid-20s. Or, consider what you wanted to be when you “grew up” as a kid, or the clothes you wore in high school that you thought were totally rad. One of the wonders — and stressors — or life is how often it changes. Resolutions are no different, and Berger notes no one should be afraid to tweak or change at any point or period. Making resolutions that apply too much stress. Though a constant quest for self-improvement and a lifelong dedication to learning is paramount to any successful career, if your resolution is causing you so much heartache and headache, you feel as if you’re drowning. … It’s time to re-think it. This doesn’t mean your goal of the year should be easy-peasy, but it should be something you look forward to achieving — and one that keeps you focused on your hustle, instead of dreading it.